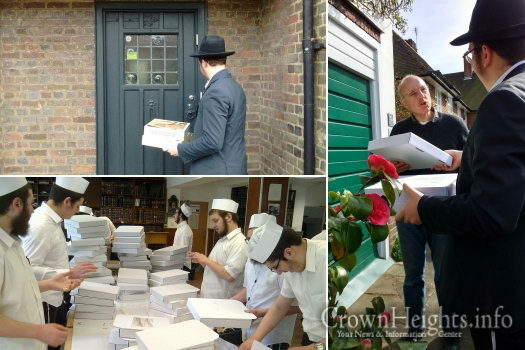 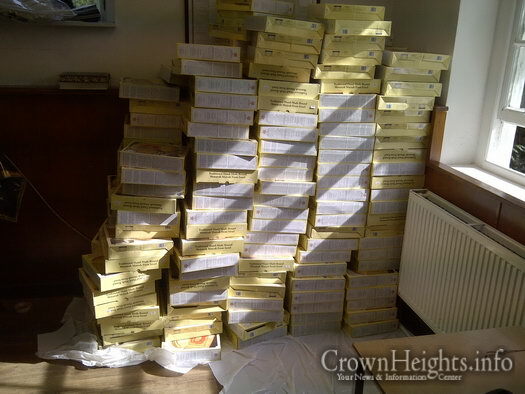 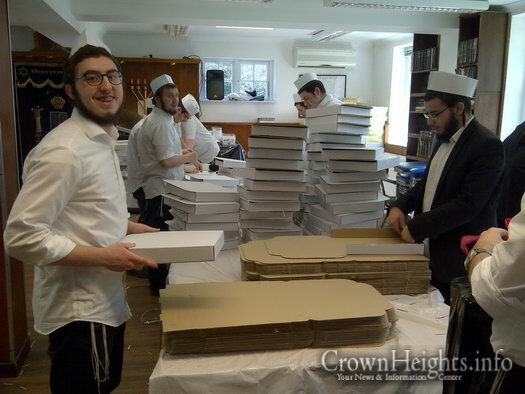 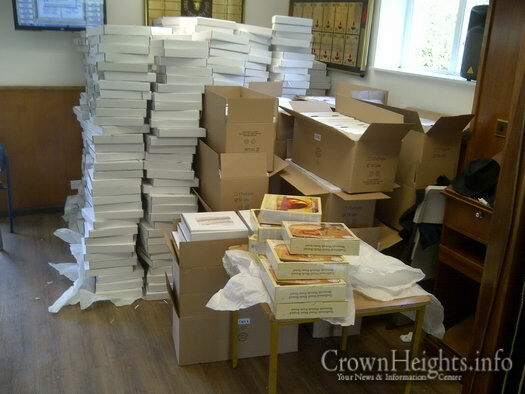 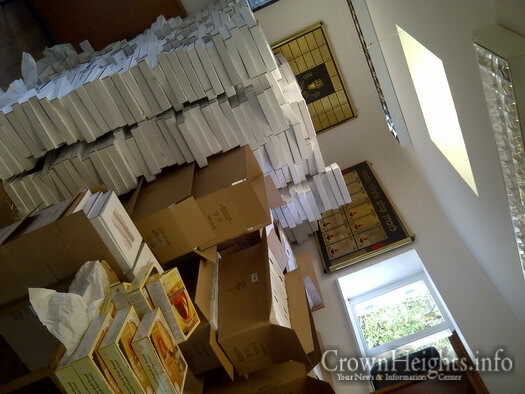 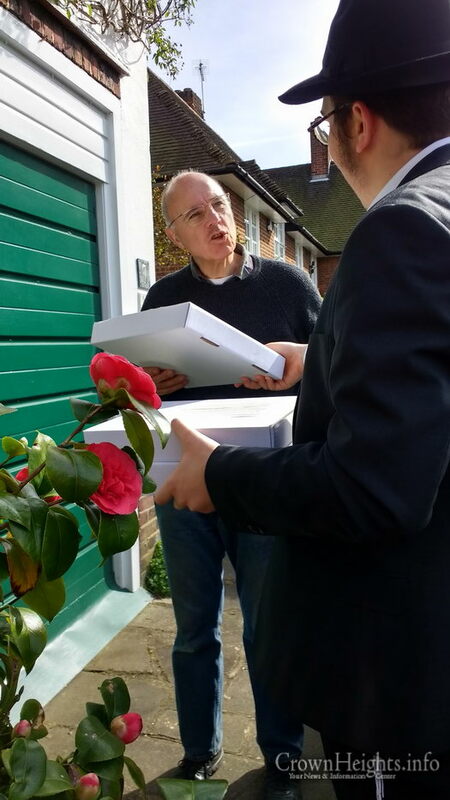 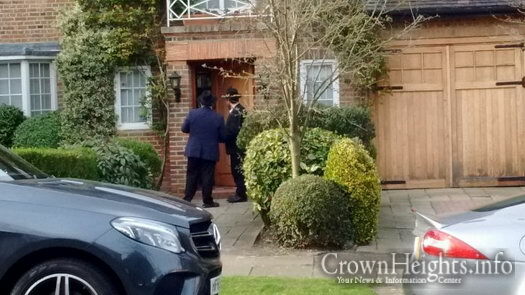 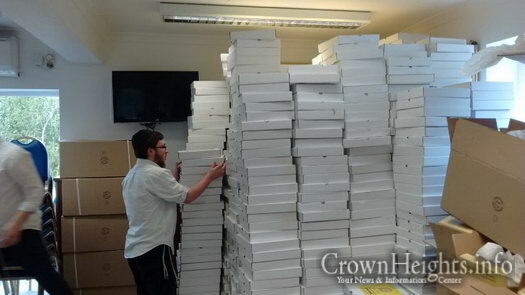 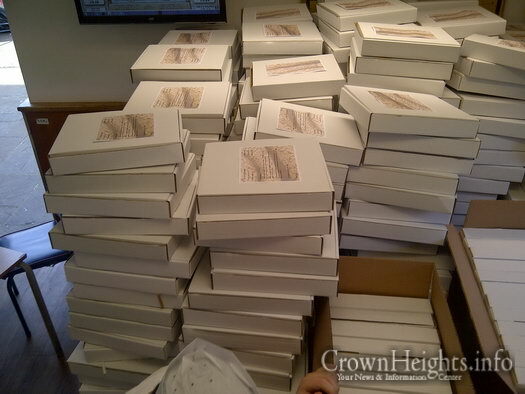 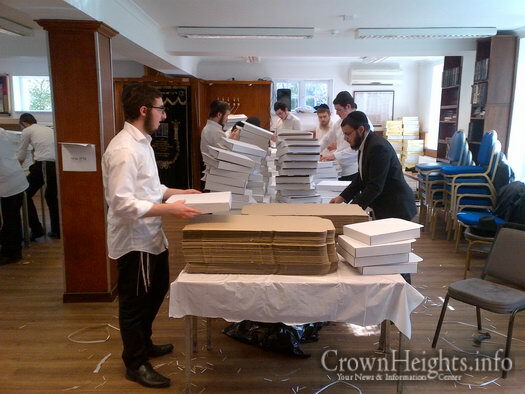 In light of the Rebbe’s call to make sure that every Jew has Shmurah Matzah for the seder, every year talmidim of the Lubavitch Yeshiva of London distribute matzah to the nearby residents, a project of Kingsley Way Beis Hamedrash and the YGL Shluchim. 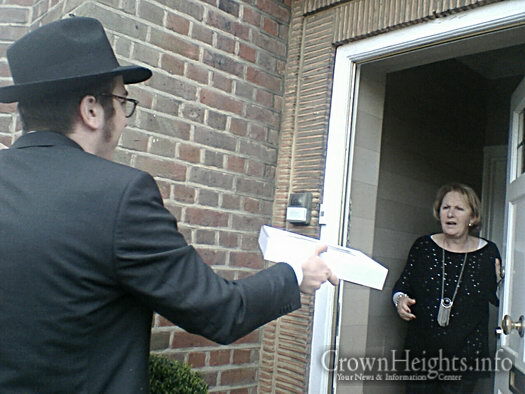 This past Sunday, the Bochurim were paired together with Baalei Batim who drove them door to door, to offer complimentary Shmurah Matzah as well as inspiring thoughts about Pesach. 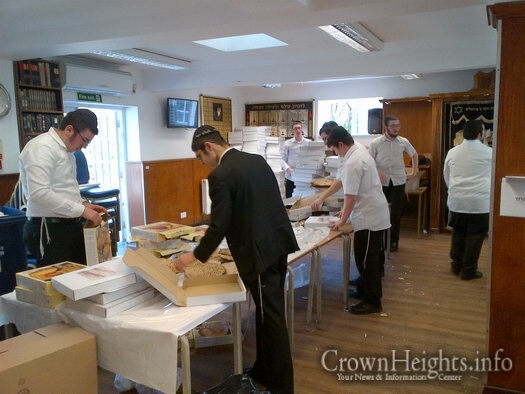 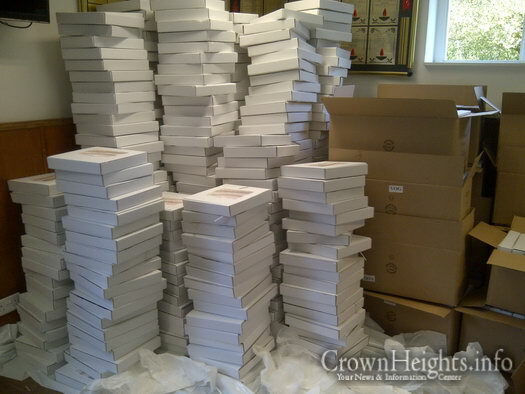 This year, the Yeshiva expanded its distribution to nearly 3,000 homes throughout the Hampstead Garden Suburb area. 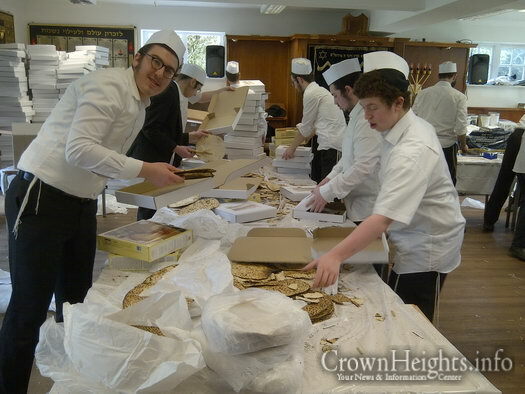 The Bochurim, reaching out to the many that had otherwise not have used Shmura Matzah on Pesach, were extremely well-received and caused a tremendous Kiddush Lubavitch. 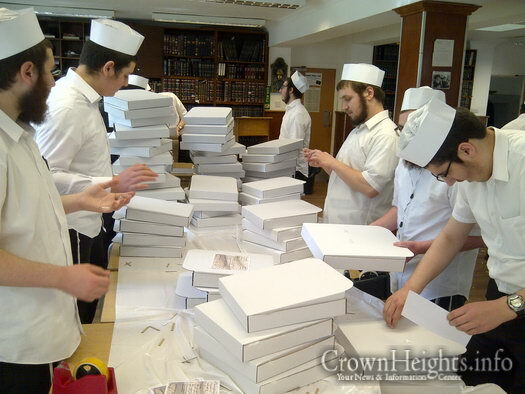 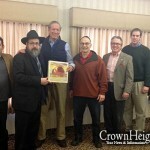 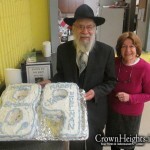 This program started nearly 20 years ago through a campaign developed by Getzel Itzinger and Harris Sidelsky to strengthen the awareness of the usage of traditional shmurah matzahs on the Passover Seder night. 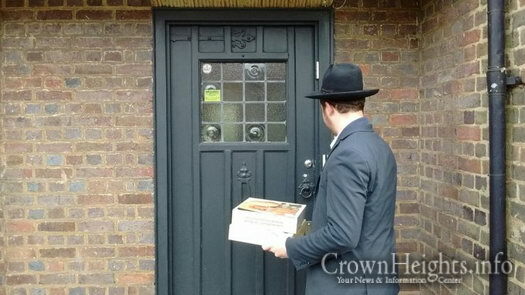 It has developed into a wonderful tradition that now enables thousands of nearby families to fulfil this important Mitzvah in a proper way. 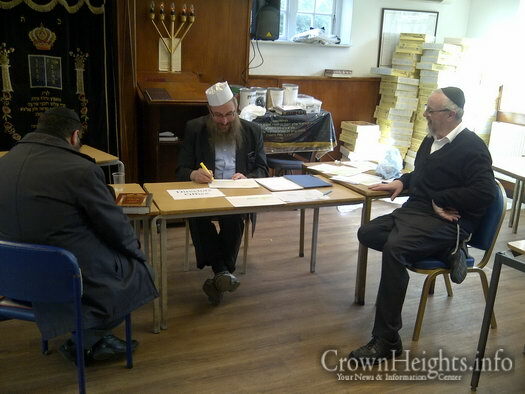 Special thanks to Reb Avraham Weisz for his help arranging the routes, as well as the Bochurim for putting in a lot of effort into this project. 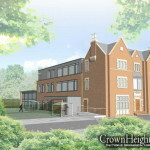 To help fund the YGL Shluchim on their future projects, please visit yglshluchim.com. 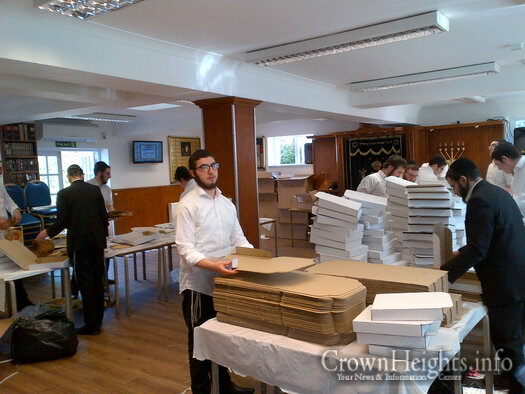 London is very active these days! 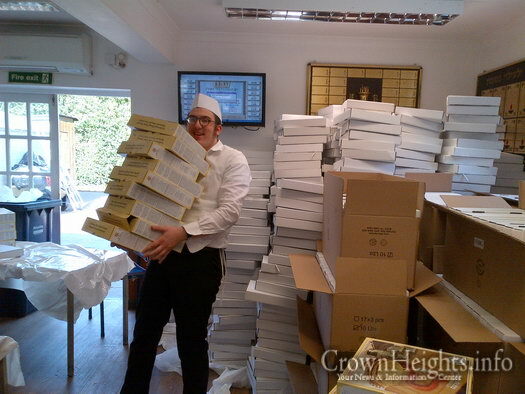 Bh they have good Shluchim this year!